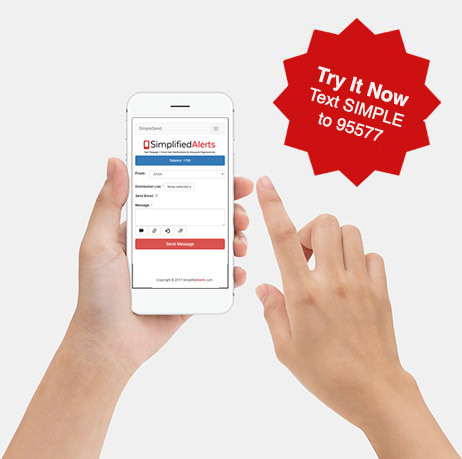 Text SIMPLE to 95577 to try our new SimpleSend Mobile App. for FREE. SimpleSend is an easy-to-use mass notifications mobile app for employee and workforce notifications that connects with your Simplified Alerts account*, giving you the power to conveniently send critical messages right from your smartphone. Built on your Simplified Alerts Advanced SMS account API, it brings all the reliability and messaging features into your hand; in an easy-to-use app and mobile site. When seconds and convenience matter, Simplified Alerts’ SimpleSend App is the perfect solution. Contact us to learn more at 888-243-3314. * SimpleSend requires an activated Simplified Alerts account to access all features. 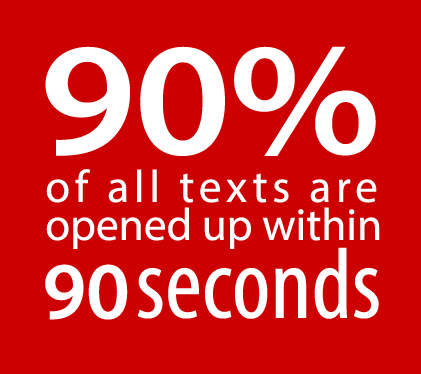 Text SIMPLE to 95577 for a single-user TRIAL. Send Text Notifications & Email Alerts To Groups, Employees, Or Organization Members – Fast! Send your employees alerts for office closings due to weather, IT outages and updates, and emergencies. Break down groups by location or department. For meeting updates, events, and text notifications when information is time sensitive and critical. Notify your staff about IT or system outages and easily keep them informed with updates. SMS weather alerts for game cancellations, schedule changes and league sports updates. Easily send text alerts to parents and staff about schedule changes, urgent needs and updates. Have a large group gathering? Use Simplified Alerts for group messaging at events, tournaments, trade shows or conferences. Simplified Alerts is an easy-to-use and affordable text alert system that delivers permission-based mobile text and email messages to small and large groups with a click of a button. Priced competitively with no long-term contracts, our mobile alert messaging service costs just pennies per text message and can be customized and branded for your organization. Compliant with TCPA text messaging guidelines. Set up, manage, and send text alert messages to segmented lists by group type or geo-targets. Professional help-desk and free on-boarding with a business class account. No long-term contracts with a month-to-month subscription. Or save with a annual pricing plan.